The _Morning Coffee Dashboards are the first thing to see once you get to work. These dashboards track the state of monitored objects, estimate the overall resource utilization and immediately display these changes to provide at-a-glance real-time overview of your infrastructure. 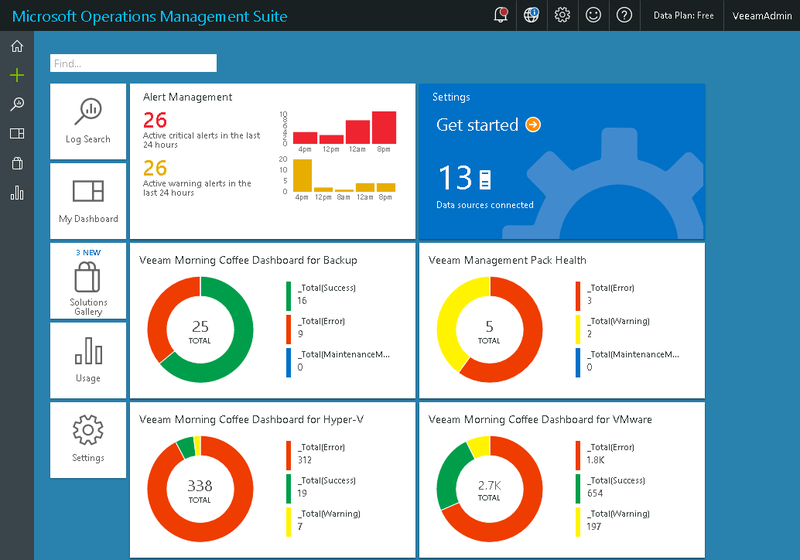 The colored donut charts in these dashboards show the total number of discovered virtual infrastructure objects in the ‘Success’, ‘Warning’ and 'Error’ states. Click a dashboard to get more information on unhealthy objects and alerts raised for these objects.